Book Week in the Netherlands introduces some novel means of book promotion. Mass transit is a popular place for reading. 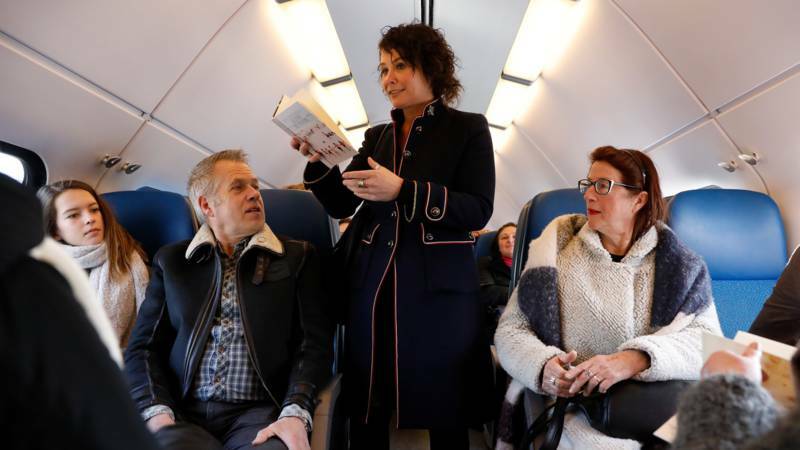 So it’s only a delight, not a surprise, to learn about the Netherlands Railroad’s annual book promotion. They award an author enough to write a book – in advance – any book of the writer’s choice. Then the book is given away by bookstores during Book Week to any customer who spends 12.5 Euros in the bookstore. Talk about a city-wide book read! This is a national book read. Now that you have the book, take it with you to a train station on the last day of Book Week. Scan the book’s barcode into the ticket reader, and hop on for a free day of travel. This year’s author Griet Op De Beeck spent March 18, the last day of Book Week, riding the rails to literary fests, lectures, and book singing sessions. It was a day of Meet and Griet for the controversial author. 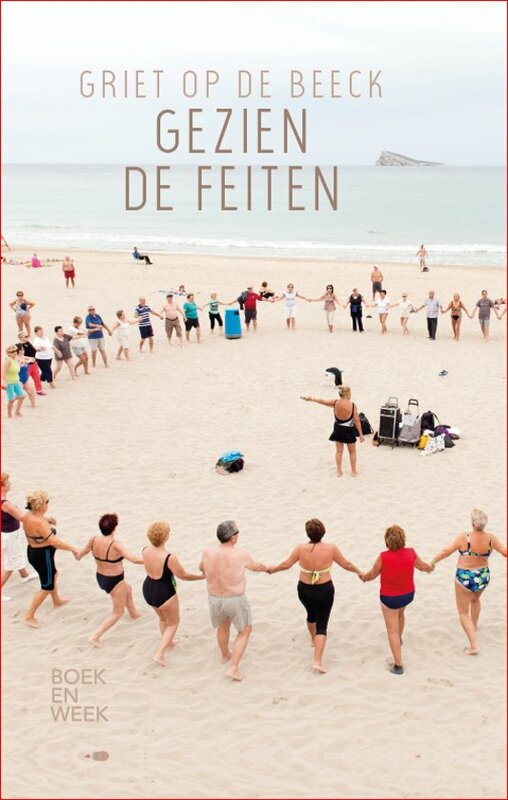 Her new book, After Considering the Facts / Gezien de Feiten, is a novel that uses Griet’s retrieved memories of her own experiences of childhood abuse by her father. “Abuse is like a stain of oil on the water. It spreads beyond the life of the victim,” she said. A previous book also used the material and sold very well. Bookstores in the Netherlands re-ordered copies of this year’s Book Week’s favorite, giving a total of 661,000 books away. Op De Beeck’s words are also spreading, affecting those beyond her own life, via train! Abuse is like a stain of oil on the water. It spreads beyond the life of the victim. Authors are often advised to write what they know. Who knows how much fiction is based on truth, how much memoir is just a little bit enhanced with speculation or hyperbole? It all makes for a good story. Reaching into your memories provides material for all creativity, including the written. What memories do you have that would make a good story, one that might even help others discover a truth about themselves? In my work as a ghostwriter with older people, I often hear memories of train travel. Train stations, steam trains, hopping a train…trains seem romantic to those of us who do not regularly commute. The sound of a train brings memories to the fore…as when Mary Stuart and the Fabulous Superlatives played “Folsom Prison Blues” a few years ago, on a stage at the First Museum. Behind them was Union Station, where no passenger trains run. 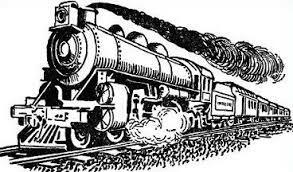 Yet somehow the song times out “When I hear that lonesome whistle…” to have the train go by behind the band and blow, blow, blow the whistle so that all the band and listeners could do was marvel and laugh, for the band could not be heard over the train! A real life event like this promotes itself and the band, because it is a story with multi-media input that sticks in your mind. What can you put together as an event that is a story in itself, working for your book promotion? Traveling, whether as a passenger on commuter train, city bus, or as an active hiker is a time spent not only moving, but reflecting. I always enjoy watching people feed their minds through reading while they ride. A book can also take you places! I eagerly borrowed a book from my friend Mary, to carry on the plane as I depart soon for the Netherlands once again. I urge you to find a book for those spare moments, and to support mass transit. We have a chance to VOTE FOR MASS TRANSIT soon in my own city, Nashville. I would love to spend time twenty years from now, waiting for a train, book in hand, in Tennessee. Perhaps traveling to our own Southern Festival of Books! 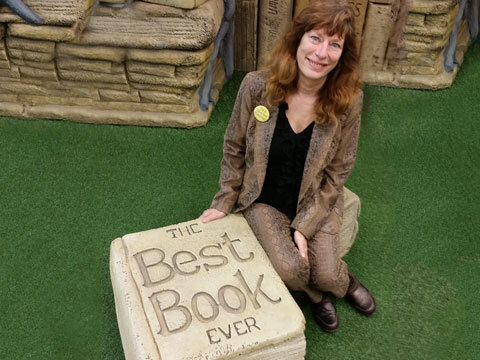 The Festival is another great place for book promotion ideas. I sometimes think that the truth does not exist, only versions of the facts that above all tell us something about the person who speaks them out, and people only hear what they can hear or want to hear, and sometimes that is the same. Subscribe to get the next blog posts in your email! Subscribe to get the next Best Book Ever blog posts in your email.